Technology is making the home buying process easier than ever. With a wide range of new apps, platforms and websites out there, all it takes is a few taps of the keyboard or clicks of the mouse, and you can find a home, tour it, bid on it and start the closing process in minutes. Listing sites and apps – Tools like Zillow, Trulia and Realtor.com make finding homes that fit your preferences a breeze. Just select your price range, number of bedrooms, location and more, and you can get a customized list in seconds. All three sites have their own apps, too, which is great for bust buyers on the go. It also makes searching on the fly easy if you find yourself out and about, ready to look at homes. Online mortgage applications – Most mortgage lenders are moving toward fully digital experiences, meaning you don’t have to fill in dozens of documents by hand, nor do you have to copy and hand over every bank and account statement you’ve ever received. In many cases, you can submit all your application data online – and that includes filling out initial forms, sending over income and debt information, and more. Depending on which lender you choose, you may even be able to get preapproved online – which can give you a serious leg up in today’s competitive market. Google Maps & Yelp – The two phone apps make it easy to evaluate the amenities of a community you’re considering. Just pull up a map on either, and see instantly the grocery stores, restaurants, shops and more in the area. You can also estimate driving distances and commute times to work. GreatSchools & NeighborhoodScout – Both of these websites are game-changers for choosy home buyers. Want to discover how safe a neighborhood is? What schools are like in the area? What crime rates are like? These two can help you find out – and fast. Digital signing tools – DocuSign and other similar tools mean you don’t even need to step foot in an office or outside your door to sign paperwork in the home buying process. In fact, thanks to new electronic notarization tools, depending on the lender you choose, you may not need to attend closing at all! 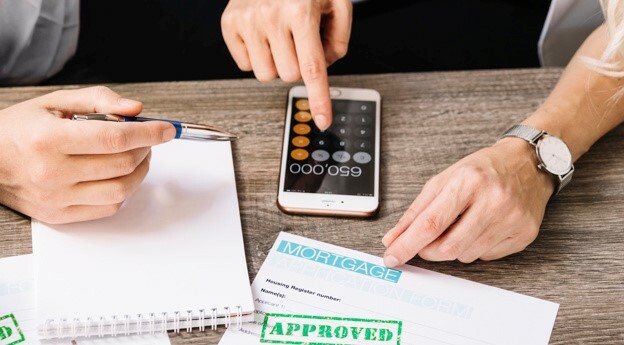 Mortgage calculators – Whether you’re not sure what price range you should be looking in or you just want to estimate the potential monthly payment on a home you’re considering, mortgage calculators allow you to do it. Just plug in a few numbers, hit calculate, and you’ve got all the information you need in a few minutes – no hard-selling loan officer needed. A great realtor is another vital tool in a home buyer’s arsenal. Are you on the hunt for a home in the Schertz or greater San Antonio area? Contact The Claus Team today for help.